Traditional T-shirt with a special look. 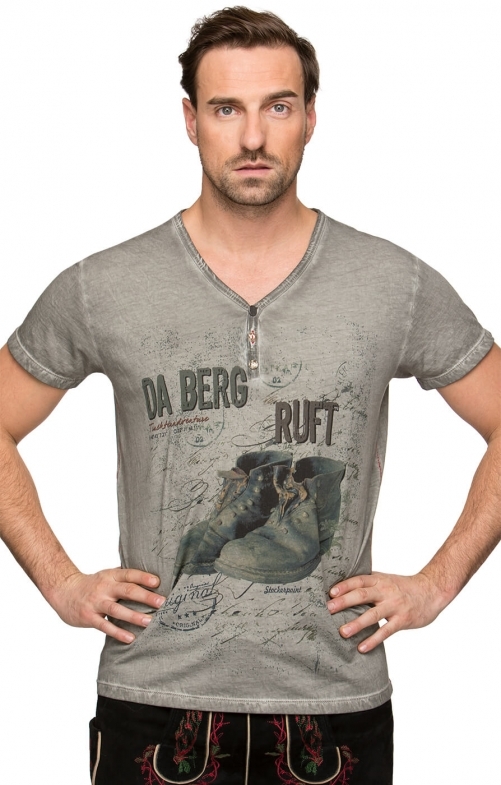 The main colour of this traditional T-shirt is a stone colour, which corresponds to a strong grey. It is also known as steel grey. The image in the centre of the T-shirt, with the slogan "The mountain is calling" also provides a visual highlight. This traditional T-shirt is made of 100 percent cotton and is very comfortable to wear. Der Berg ruft sehr gut verarbeitet und bequem.